5. 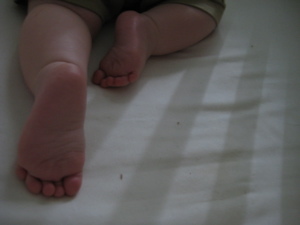 Crawling, scooting, and getting around! Nash is all over the place these days! 4. Learning the word “No”. Crawling opens the door for a whole lot of t-r-o-u-b-l-e (and fun!)! 3. Officially having 1 tooth (bottom left). It’s hilarious! 2. Did i mention crawling and pulling up on everything? 1. 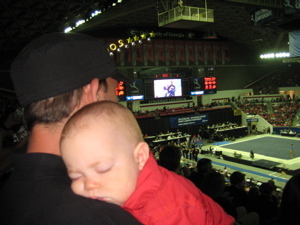 Staying out way past bedtime to watch the UGA Gym Dawgs win the National Gymnastic Championship for the 4th year in a row! 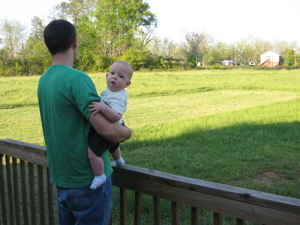 Nash and Dad take a look at the back yard…and all the mowing that still has to be done! 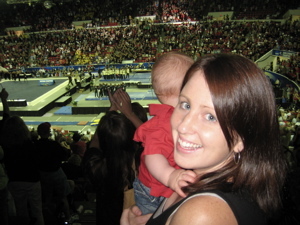 At the NCAA Championship…Nash too interested in all that is going on to look at the camera. Completely exhausted from cheering for the Dawgs! WOW! That is one big back yard! Lots of room for Nash to play! Just wait ’til he starts running! i have to say that i am a little jealous nash gets to stay out late and watch the gym dogs!